In a pan, add chopped asparagus and cook it adding chopped green chillies, salt and enough water. 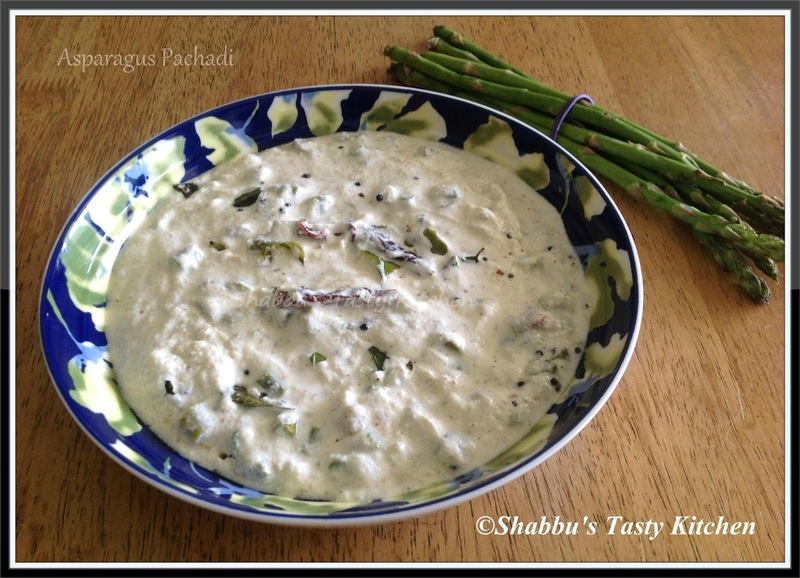 Grind grated coconut with cumin seeds and 1/2 tsp mustard seeds to a fine paste. Mix in the yoghurt and add this to the cooked asparagus and heat in low flame for 2-3 minutes. Check salt. Don't allow to boil.